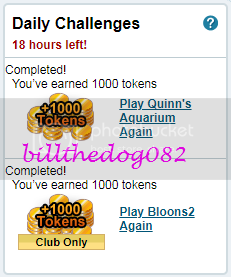 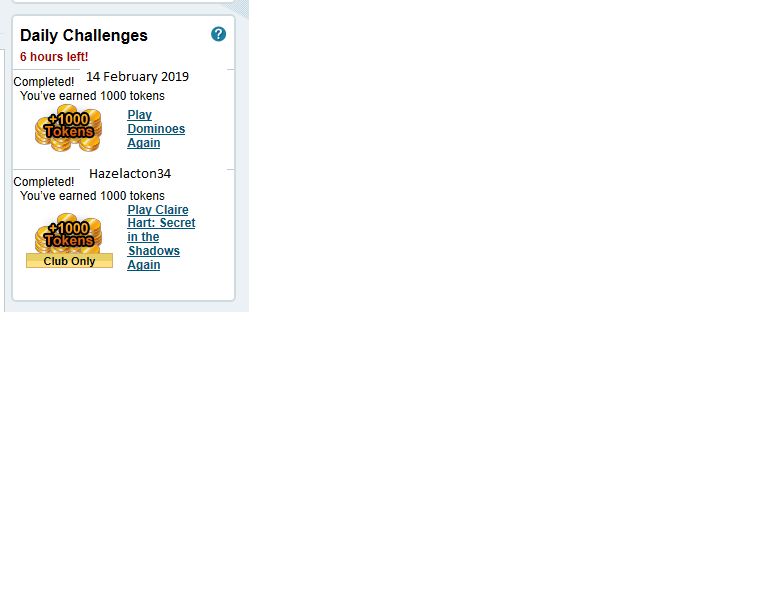 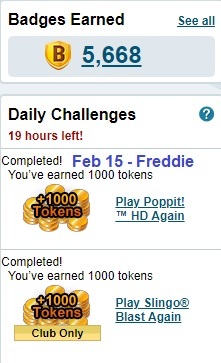 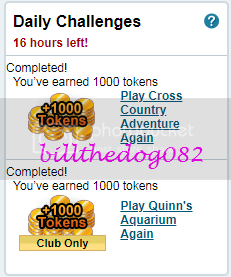 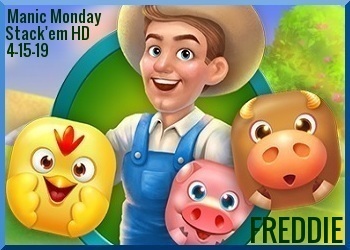 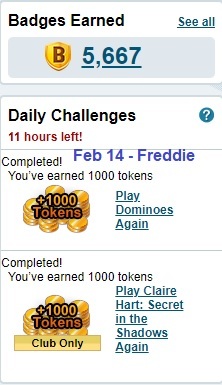 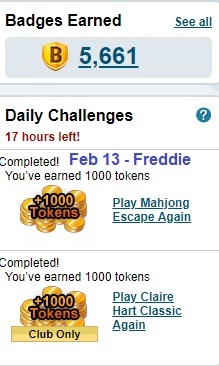 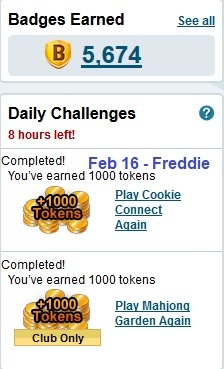 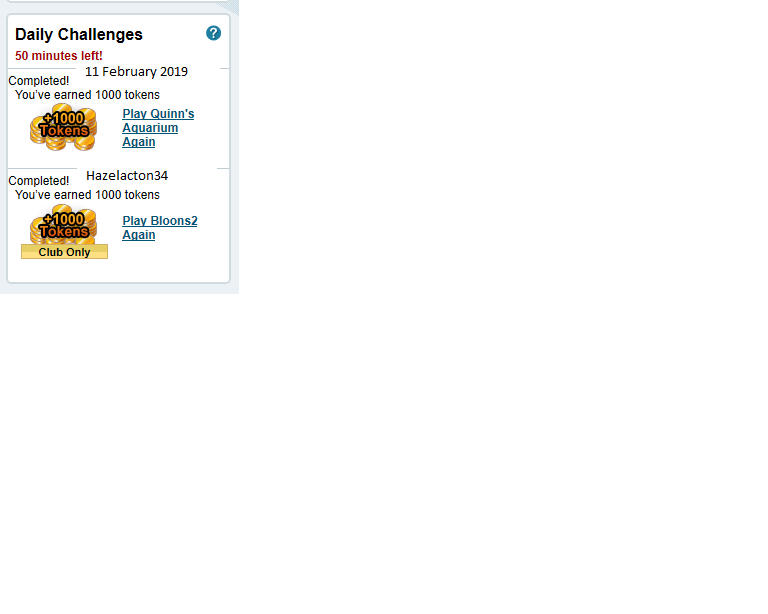 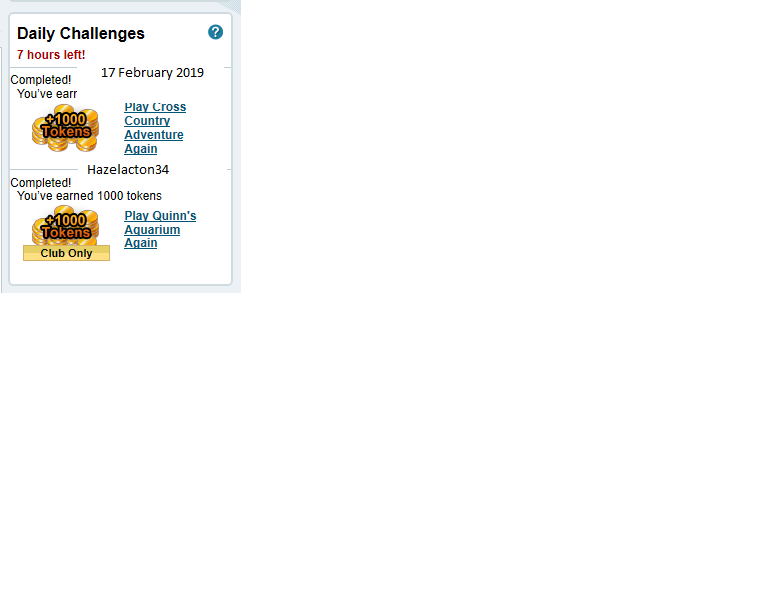 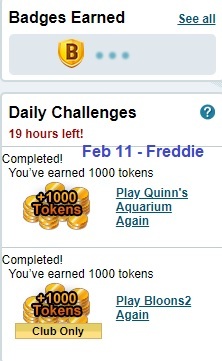 Each day, Pogo.com has two daily challenges where you complete the challenges, and earn tokens! 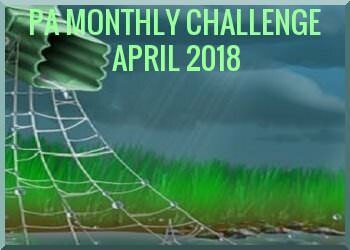 Complete the challenges each day, and then come back and post your screenshots in the thread. Each week, you will earn 4 FORUM EVENT BADGE points, and 25,000 PA credits for completing 5 out of the 7 days worth of Daily Challenges. 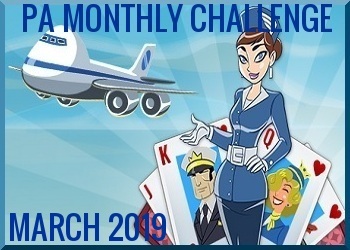 The contest will begin on a Monday, and end that Sunday. 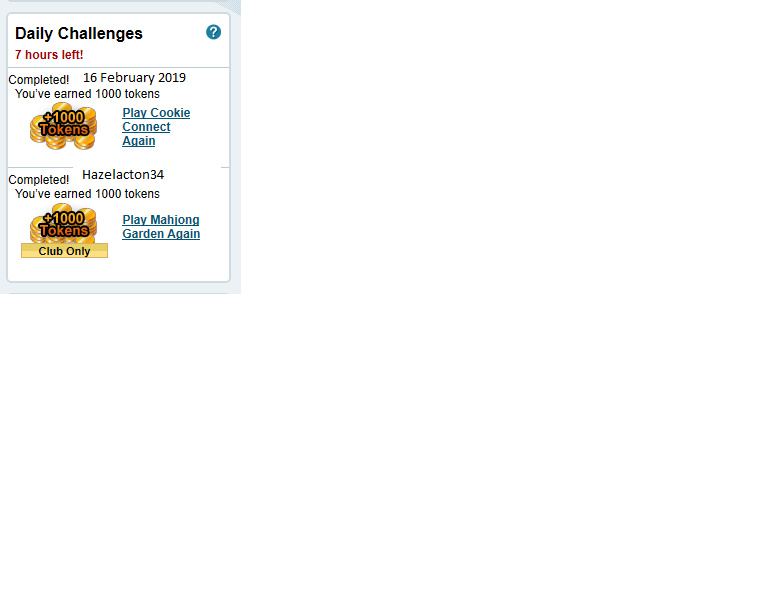 and then each day afterwards you will go into your post and modify it for the next day. 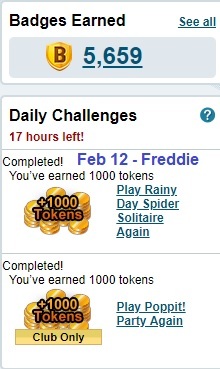 Please be sure to use the SPOILER (SP) button around each day of the week. Thank you paintnut2 for my pretty siggies!